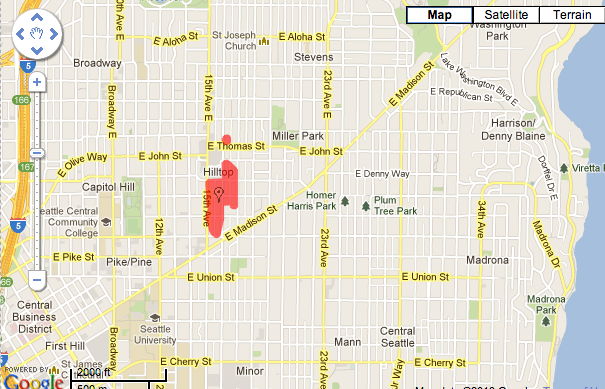 More than 400 customers lost power this morning in the 7 Hills Park area of Capitol Hill near the 15th Ave Group Health campus when a bird landed on power line equipment. The loss of power was much more limited than last week’s 3,000+ customer outage caused by a semi-truck running into wires down off Denny. City light estimates power should be restored before noon. No word on the condition of the bird. In May, 2010, this crow knocked out power to 2,800 customers around Melrose Ave. Warning: contains dead crow. Wednesday, The Sorrento Hotel shared this picture of an unusual visitor to the First Hill elder statesmen of hospitality. 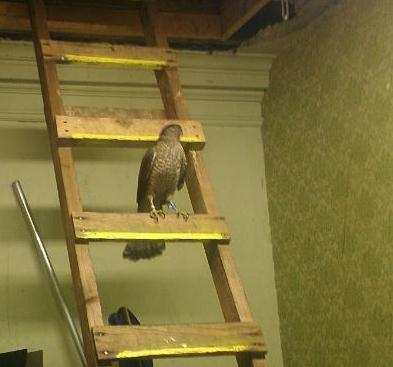 “We had a little visitor in our attic today. Just keeping an eye on us, I suppose!” the Sorrento’s Facebook page notes. I hope it wasn’t the hawk! I drove by and there was a hook and ladder truck there – they probably weren’t doing CPR on the poor bird.